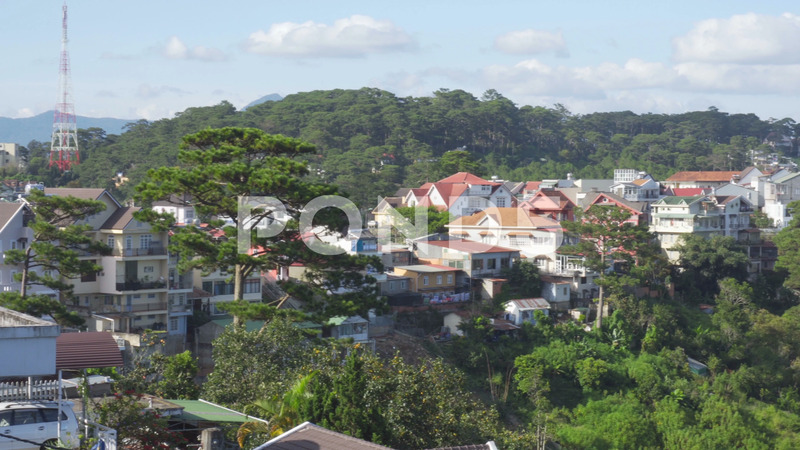 Description: Wonderful view of Dalat (Da Lat), Vietnam. Panning motion. Scenic houses among pine woods. Beautiful city located in the Central Highlands.